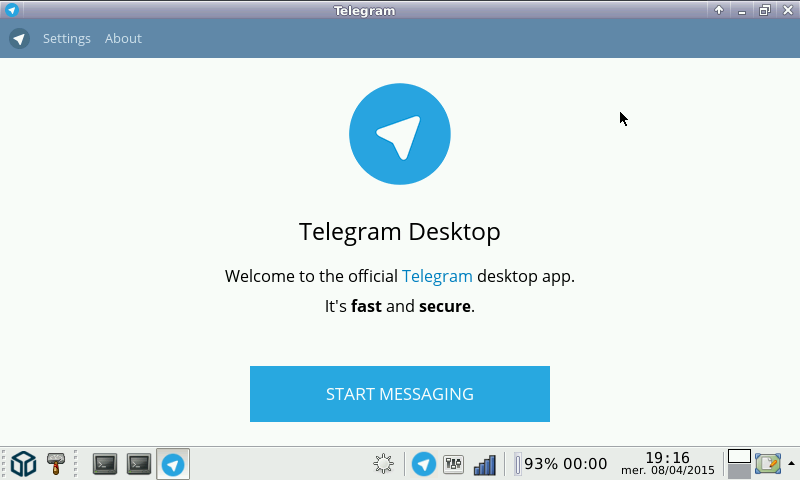 Here is Telegram, the desktop app. * Still issue with the sound (plays ok but can't record). @KelvinShadewing: right-click crash is fixed now. @scops : ok, I'll try to change the minimal size to lower value for next release (not sure when that next release will be, none are planned for now). @ptitSeb : i want to scale the ui to 120% because the fonts are to small for me :) with zoom factor 100% the window fits. Right-clicking anywhere causes it to crash. @scops : the minimum height of the window is 400. I don't thing reducing it anymore will help. Did you check in the options screen if the zoom factor was set to 100%?